Using online tools from the EnergySage and Pick My Solar is just a starting point to help you determine how much sunlight or solar potential is available on your rooftop to generate solar power – a renewable energy source of energy. However, after using a solar panel cost calculator to decide is solar worth it, it is also good to start thinking about your roof-top solar PV system. 1. It is important to assess about your rooftop structure and type i.e. flat, angled, metal wood etc as this determines how your solar PV system is going to be attached into your rooftop. 2. Does your roofing have a roof manufacturer’s warranty? This can last about 10 to 20 years and it is necessary to determine whether installing solar panels on your rooftop will affect this warranty. It is advisable to obtain Solar PV systems that do not penetrate the roof surface, but you can obtain clearance in writing from the manufacturer to ensure that your PV system will not void the warranty. 3. If you have a planned roof replacement, it is advisable for your PV system installation to wait and combine the two projects, which is a more reasonable approach when it comes to cutting costs. 4. Before installing your PV rooftop system, check for potential leaks on your roofing to fix them before the actual installation of the PV system. 5. The orientation of the roof affects the solar irradiation of the PV system, especially for a sloped roof is very important to consider. In the US, a southern facing roof is ideal for a great solar potential. 6. Obstructions on the roof such as HVAC equipment will obstruct the construction of your PV system and you might need to consider other options if the obstructions occupy a large surface area. In such cases, ground mounted PV systems or carport systems might be ideal options to consider. 7. Shading from adjacent trees or buildings will reduce solar potential and hence the need to explore other available options. Once you have assessed the above factors, you will be able to reach a decision to either install a rooftop mounted solar PV system or a Ground-mounted PV system. Ground-mounted PV systems can be easier to install and can be scale-up more easily. To ensure compliance with local codes when it comes to safety, security etc, it is advisable to hire a licensed solar installer that has a proven track record of installing successful solar PV installations. 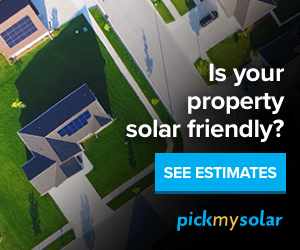 EnergySage and Pick My Solar are online solar marketplaces that help to aggregate solar quotes from multiple solar installers to help you get solar quotes that are a bit competitive than obtaining them from a single solar installer. It is advisable to consider licensed and qualified solar installers that have a proven track record of installing good PV systems that are in compliance with the solar installation regulations in your local area.